Being a Beauty Blogger, I've managed to accumulate a fair few lotions and potions over the year, and as a result my bathroom cabinet is probably better stocked than the isles of Boots. However, recently I noticed that my skin has been breaking out a lot more frequently than before, now this could be down to a number of reasons...over exfoliation, changes in climate, etc. But one thing I've noticed is that my skincare routine has gotten out of hand and is way too complex for my young skin. I recently read a blog post (I'm sorry I can't remember where!) about skincare tips said blogger shouldn't have listened to, and one of them was all about using loads of products on your face. This got me thinking, maybe I'm using too many products? Before I decided to simplify my skincare, my routine consisted of a micellar water, two cleansers, a serum, an eye cream, a pore minimiser, spot treatment and a moisturiser...basically, way too many products. Now, I'm no expert and this post will be based on what I've found works for my skin, but recently I've found that cutting down my regime has really benefited my skin. When my break out was at its worst (I'm talking really bad) I decided to cut back to just using a make up remover (although I didn't need this as I stopped wearing make up it got so bad), a cleanser and a moisturiser and the occasional scrub and face mask and I found that this worked wonders for my skin. Within two days my spots had gone back down to normal levels (my skin is never completely clear) and with that, I gained my confidence and happiness back. My skin is one of my major insecurities. I suffered with terrible acne when growing up, some of which has still not disappeared, and this has left me with large pores and a bit of scarring/redness - generally not a pretty picture. All of this left me with a desire to pile as much product on as possible to fight my many skin concerns, when it turns out, my skin was crying for a break from the product abuse. With this in mind, I decided it was time for a complete skincare shape up. As I also wanted to cut back on the harsh ingredients, I headed straight for the Simple isle in my local Boots. I live in a very tiny village, so they didn't have the complete skincare range for me to look though (probably a good thing, I'd have been there for hours!) so I ended up choosing the Simple Foaming Cleanser. I chose this mainly due to its lack of fuss. It's just a simple foaming cleanser that doesn't strip your skin of all it's goodness, but instead leaves your skin feeling fresh as a daisy and completely calm. I've really been loving this and the simplicity of this product has been doing me wonders. Following on from this, I chose the Simple Oil Balancing Moisturiser. One problem I have with my skin is that it gets very oily, and I often find moisturisers to be too heavy for my skin and cause breakouts. The Simple Oil Balancing Moisturiser has a lovely light weight formula which helps to keep my skin looking matte for longer, without breaking me out. Now, these products don't come with any fancy packaging or frills, but I think clean, fresh feeling skin is a much better result. Now, of course I haven't thrown away all of my skincare, I've still kept a few bits for when my skin is having an off day and needs a little something extra. Once a week, or every other week, I try to use the REN Invisible Pores face mask, this really helps to keep my skin calm and tighten my pores, and honestly my skin feel so smooth after using this. I really can't sing it's praises enough and if you struggle with break outs, I recommend you purchase this now, it instantly calms my break outs and reduces them as soon as they appear. Also, as my skin sometimes has the tendacy to get a little dry, I've kept some of my Tarte Maracuja Oil to sooth my dry skin. This little bottle is full of wonderful natural goodness that instantly soothes dry skin and helps keep your skin glowing, even when it's having a dull moment. I've found that cutting back on my skincare has done my skin wonders, and I know there will be people who swear by their complex routines, but everyone's skin is different. I know there will be critics out there who are nauseous at the fact I don't use an eye cream too, but I just haven't found one that works for me - a lot of them are way too heavy for my young sensitive skin. Please let me know in the comments if you suffer from bad skin, or any tips you have to solve the problem! The Garnier Micellar water is amazing! I have quite a simplified skincare routine and I find my skin thanks me for not overwhelming it with products. I keep my skin care simple too. As I have sensitive skin using too many products will upset it, so I just use the minimum amount. 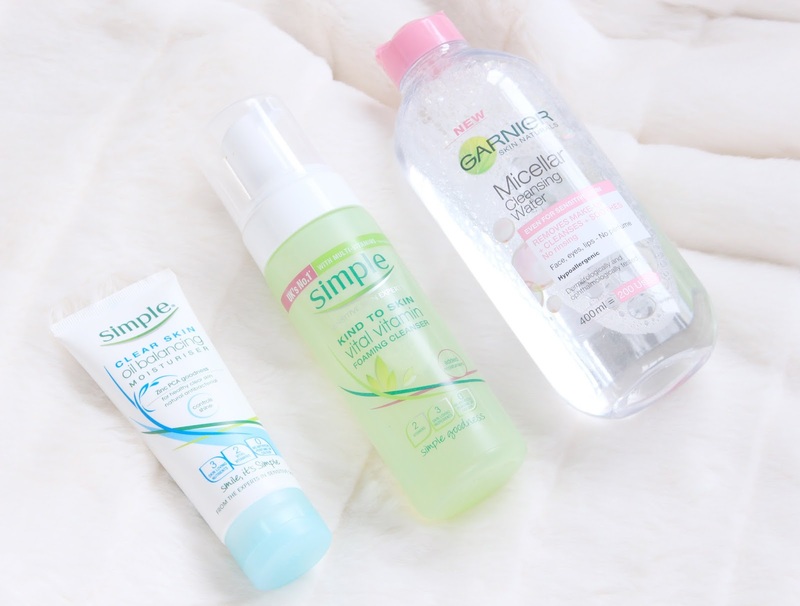 I also use Simple's products and really like their moisturising face wash! I personally think you're doing exactly what your skin is asking you too and I feel that's what a good skincare routine is all about. Reading your skin on a daily basis and seeing what it needs. My skin felt dryer this morning so I added a couple of drops of oil before my moisturiser. 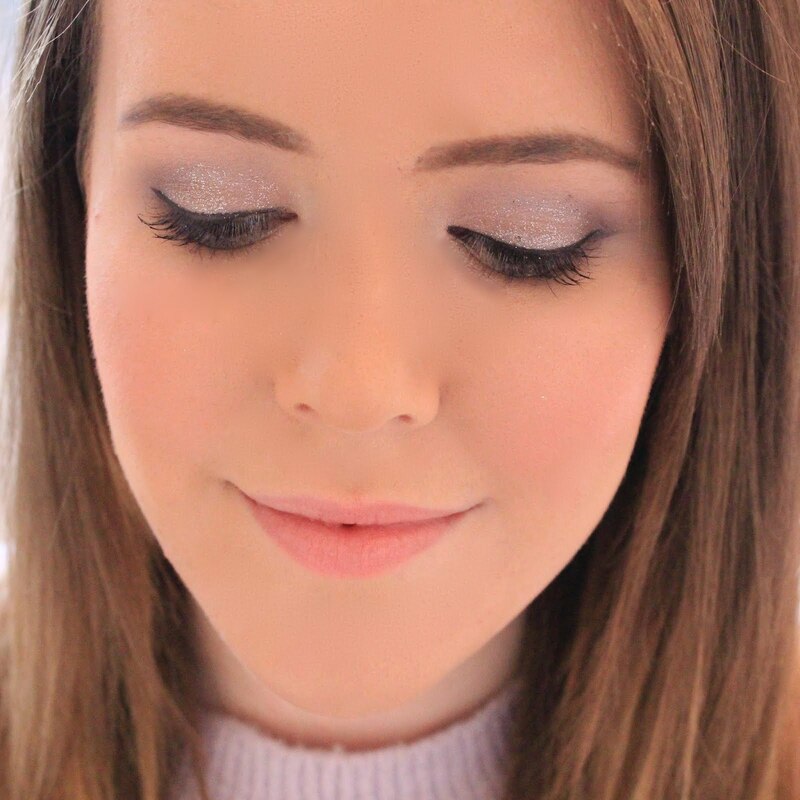 I have a lovely light eye cream/gel that I use at night that you might like, it's the Sanctuary Spa Youth uplifting eye cream (I think that's the name), it comes in a small white tube and I think it was in a pink and silver box. I will just say that as a 45 yr old with fine lines round my eyes, I would advise all young girls to start using eye cream fairly early cos once the lines do creep in, they ain't leaving!! I don't have a skincare routine at all, but I'm starting to get into one as my skin is getting quite bad!